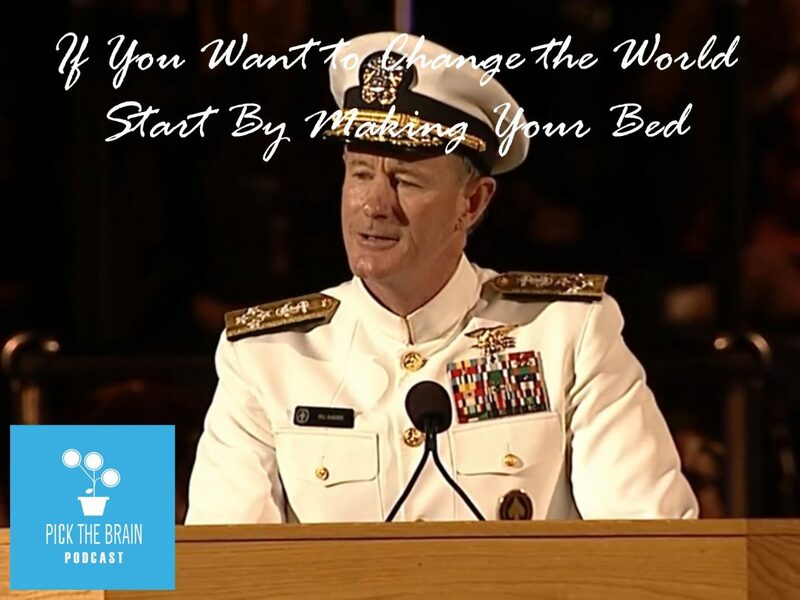 On this episode of the Pick the Brain Podcast United States Navy Admiral William H. McRaven delivers a speech about the importance of making sure you are doing little things in life like making your bed and never forgetting the importance of leaning on those around you to help you paddle where you want to go. Ready for a fantastic speech from a fantastic Admiral? Let’s jump in!